Come discover a hidden paradise, and experience the life of private luxury. 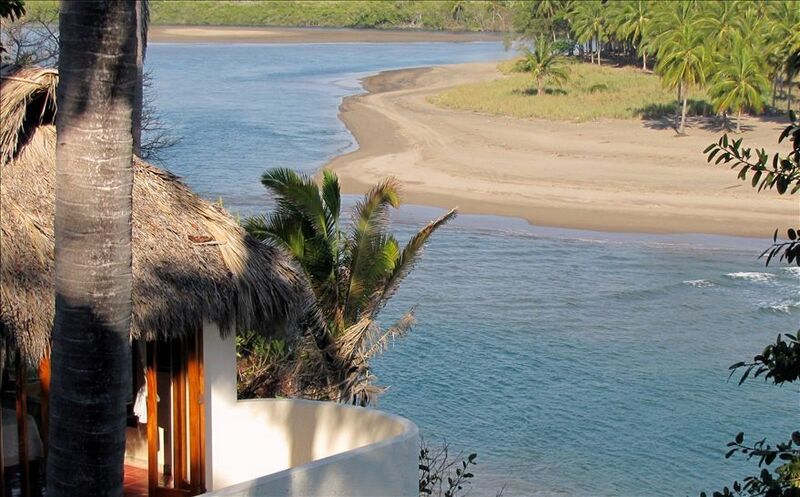 Casa Sonrisa is a beachfront villa with a stunning setting and incomparable views. Our rates include a full time maid service which adds to the relaxation. Our manager also offers an option a personal cook service, see below. Enjoy wonderful, uncrowded surf out your backdoor and beach comb miles of pristine coastline along a protected Turtle Reserve. Relax poolside, have delicious meals prepared for you and meditate to the soothing sound of the waves beneath. Come for the rhythm of nature, escape from the traffic, tourists and high prices to another world. Come for the real, enchanting Mexico. Stroll through the small villages, go to a fiesta, learn a little Spanish and embrace the wonderful people. At Punta el Custodio we offer a food plan at $230 USD per adult per week, children 5-12 $115 USD. This includes 3 meals a day, prepared by your personal maid/cook, and all the shoppings for ingredients for meals plus drinks, snacks and fruit are done by the staff. Only liquor and wine are not included. If you want the food plan you are required to take it for minimum number of 3 days within a row. Ask for details. My name is Michel Striekwold. Originally from Holland, I moved to mexico to live and work over here in 2006. In 2008 I started my own villa rental company in Puerto Vallarta. In 2009 I visited Punta el Custodio for the first time, me and my little family were invited to spend the weekend with one of the owners. From the moment we entered the gate we knew we were in a very special place.. We have spent more than 40 weekends or more since then in all the 14 houses at Punta el Custodio, and every time again we feel we are in paradise. Since 2012 I focus only on 8 villa rentals at Punta el Custodio, Casa Sonrisa is 1 of them. We chose just North of Sayulita for the Enchanting Location and the wonderful, friendly people, and surfing, surfing surfing! It really does not get any better than this! Our kids prefer being in Mexico, and the villa over anywhere else. When you are enjoying a stay in Villa Sonrisa, you will feel completely welcome and right at home. A very private, upscale yet back to nature adventure. We searched high and low and when we found this place we fell in love! We surf daily in uncrowded, consistant waves. Our kids love the friendly locals and the food is just too yummy! Turtle season is enchanting, this place is like living the discovery channel! Bathroom 1 and 2 are master suites, private. The 3rd full bath is shared with 3rd and 4th bedroom. Playa Platanitos is a very small town, half a mile from the villa, with a beach, restaurants and 2 very small stores. Friendly people, and fun culture. See below at 'additional info'. We have a 3G signal at our house, you can connect to internet using your ell phone and your own provider. We have one large outside round table for 6 and another smaller round table for 4 inside. The kayak is near the water at the bottom of the stairs, and available for your use. The paddle is either in our garage, or at the front office. We are located in front of a beautiful quiet beach, which is also an official turtle reserve. During the nesting season you may visit the turtle research camp. Here you can experience the hatching and the release of these endangered animals. This is a truly memorable experience. Perhaps you would like to enjoy fishing, whale watching, bird watching or even horseback riding on the beach? The possibilities of a new adventure are endless. Our family's favorite days are busy with walking and exploring the little pueblas, surfing or hiking to a wonderful waterfall. Let your imagination run wild! We do have occasional blackouts, as they have in Puerto Vallarta, Sayulita, and many other tourist destinations in the area. During dry season (November – June) they hardly occur, and if so, power is back quickly most of the times. During rainy season they are more frequent because of lightning that strikes a pole, landslides etc.